Laser You is a Laser clinic for men and women offering specialist treatments using the most up to date Laser technology. We offer four different Lasers, all proven to give excellent results in permanent reduction or removal of unwanted hair, tattoos, pigmentation, broken capillaries, rosacea and acne. An excellent range of skin care is available to assist in improving problematic skin conditions e.g. wrinkle reduction, pigmentation, acne and rosacea. 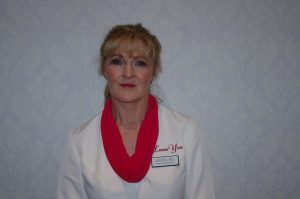 Meryl, the Registered Nurse/Laser Specialist has had 30 years experience in the Laser/Medical industry. She performs all the treatments which ensures clients see the most experienced operator at each visit. Due to her vast experience you can be assured that the safest most effective energy levels are used so that the best results are achieved in the shortest amount of visits possible. We have 4 medical grade lasers to ensure your treatment is performed with the correct wavelength to optimize outcome. The Quanta Q-Switched Nd:Yag/ Ruby for tattoo removal and pigmentation removal. SHR, Super Hair Removal Laser for hair removal, pigmentation and skin tightening. The Energist Ultra VPL for hair removal and pigmentation removal. The Norseld Ylite for pigmentation, acne, rosacea and wrinkle reductuction.